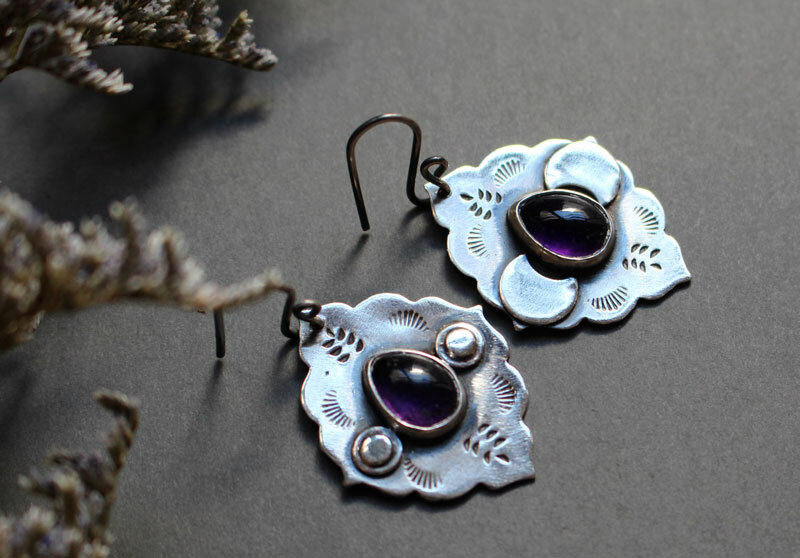 The earrings The evening star are the matching pair to our other earrings called The morning star, inspired by Venus, the first light you can see in the evening in the sky. 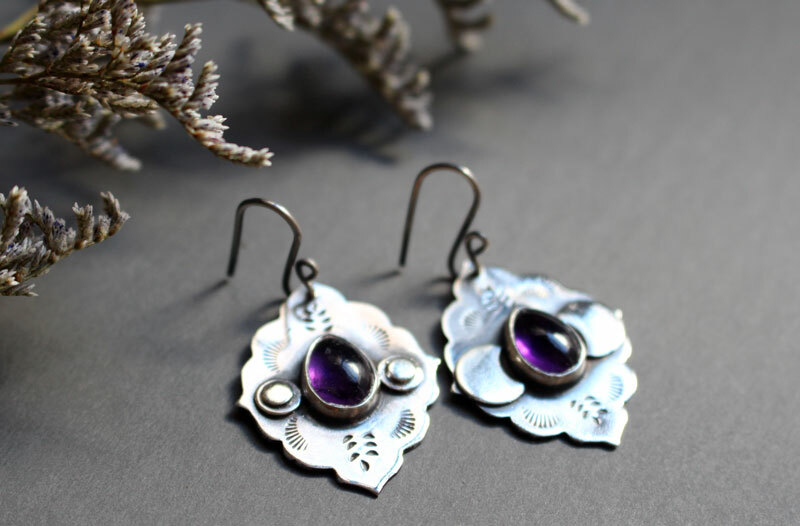 Amethyst pear cabochons are bezel set to remind you of the sky colors just before the night arrives. 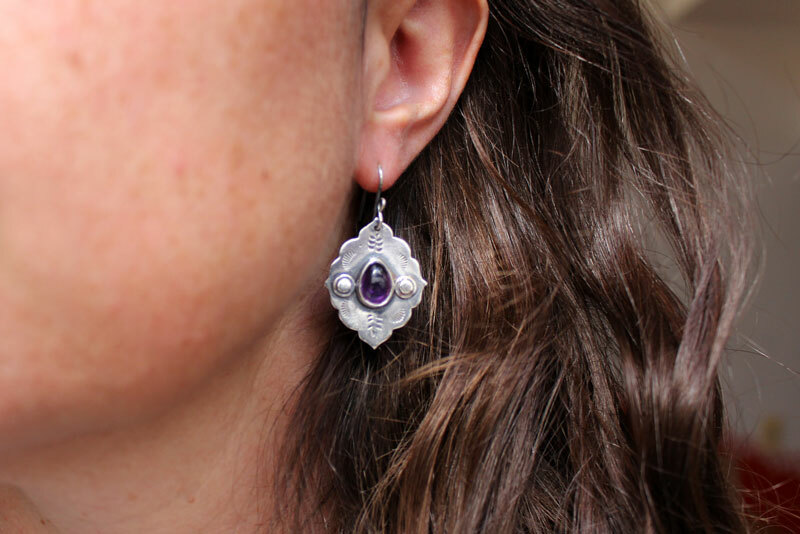 The cut of these earrings is inspired by the Moorish architecture that you can find in the shape of the stylized starts. 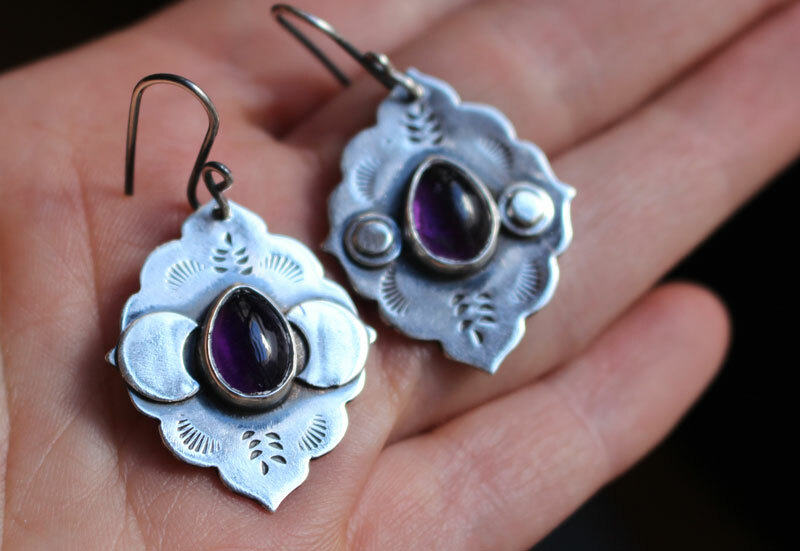 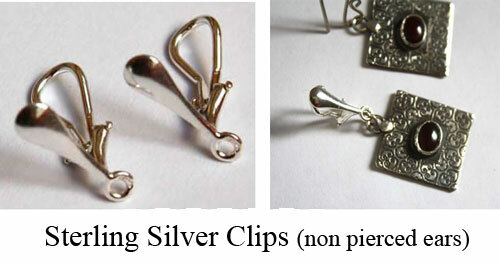 These earrings are very feminie and will shin on your ears. 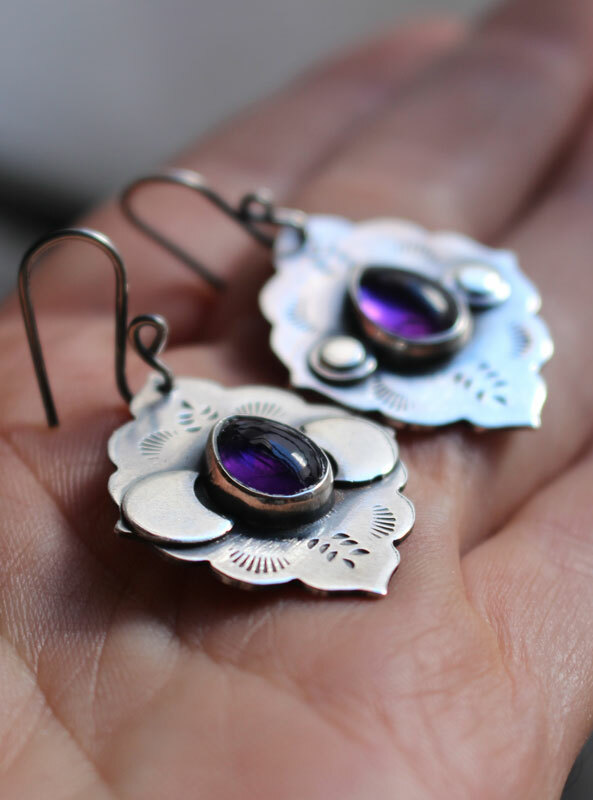 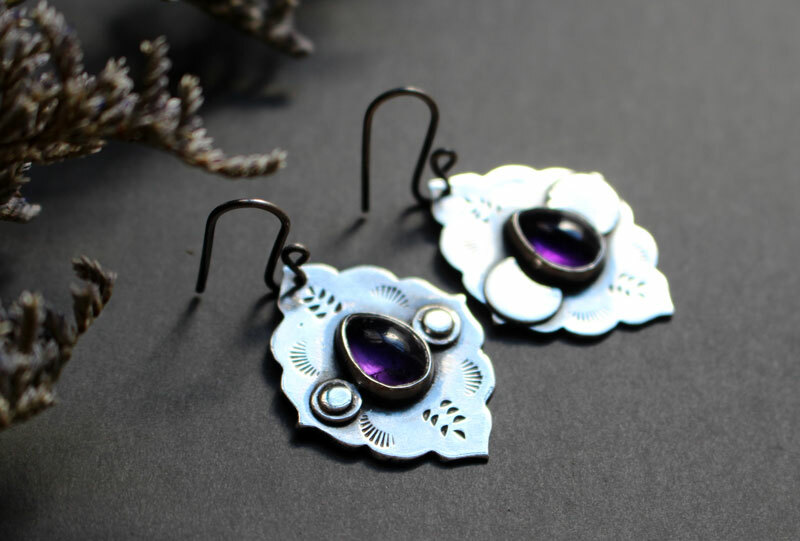 Tag: earrings, silver, amethyst, star, amethyst jewel, violet stone, jewel, bohemian, artisan, gift, mother's day, birthday idea, wedding earrings, wedding accessory, astronomy, sky, Moorish.